"Previously, I would have swabbed in the middle of the wound, getting results which would be positive for Pseudomonas but missing the Staphylococcus aureus. 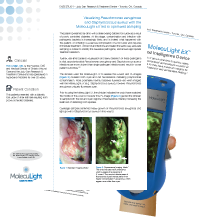 If you're involved in wound care this [the MolecuLight i:X] is an essential tool." 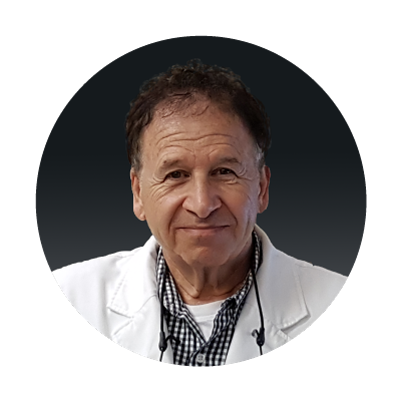 Dr. Linden is the founder, CEO and Medical Director of Ontario Wound Care and the Judy Dan Research & Treatment Centre and has specialized in hyperbaric medicine for over 20 years. Patient Condition: This patient presented with a diabetic foot ulcer on their left heel resulting from poorly controlled diabetes. 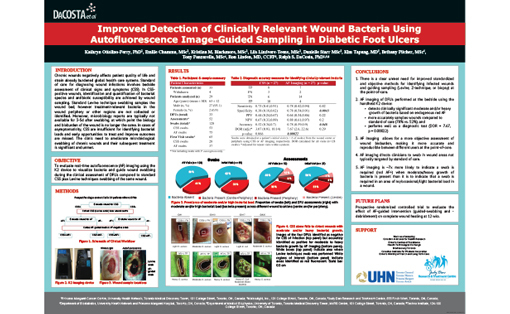 This patient presented at clinic with a deteriorating diabetic foot ulcer as a result of poorly controlled diabetes. At this stage, contamination and infection with pathogenic bacteria is increasingly likely, and is indeed what has happened with this patient. 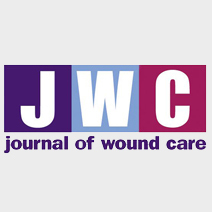 An infection is a serious complication of a foot ulcer and requires immediate treatment. Since not all infections are treated the same way, accurate sampling is critical to identify the causative pathogens, and ensure appropriate treatment selection. 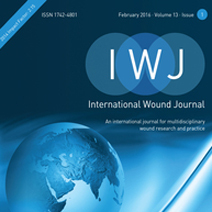 The clinician used the MolecuLight i:X to assess this wound and FL-images (Figure 2) revealed both cyan and red fluorescence indicating polymicrobial contamination. Most potentially harmful bacteria fluoresce red when imaged with the MolecuLight i:X (e.g. Staphylococcus aureus), however Pseudomonas aeruginosa uniquely fluoresces cyan. 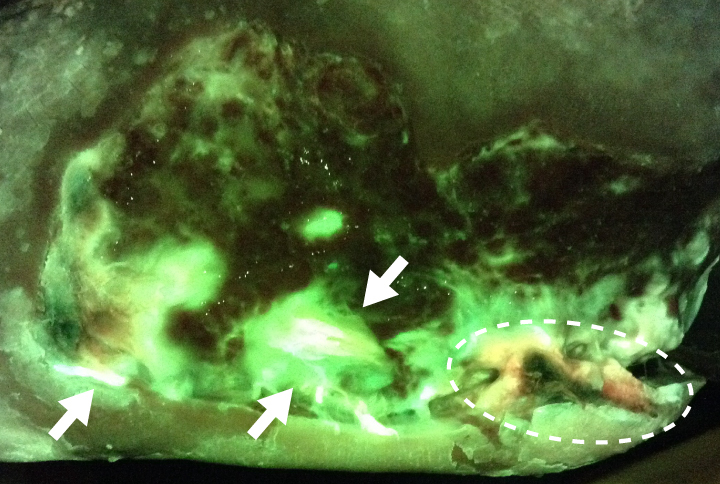 Prior to using the MolecuLight i:X, the clinician indicated he would have swabbed the middle of this wound, however this FL-image (Figure 2) guided the clinician to sample both the red and cyan regions of fluorescence, thereby increasing the likelihood of detecting both species. Curettage samples confirmed heavy growth of Pseudomonas aeruginosa and light growth of Staphylococcus aureus in this wound. Images provided by Ron Linden, MD, Judy Dan Research & Treatment Centre, Toronto, ON, Canada. * Fluorescence signal oversaturation from heavily concentrated P. aeruginosa may appear more white than cyan. Pastar I et al. 2013. PLoS One 8:e56846. Hendricks KJ et al. 2001. J. Bone Joint Surg. Am. 83-A:855–861.